The configuration of the top search form: Search minivan or minibus vehicles at the rental location 'St Moritz - Saint Moritz'. 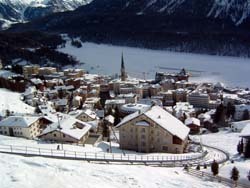 Address: Auto Mathis Ag, St. Moritz, 7500, Ch, Switzerland. - use the map of Switzerland. Typical models of the minivan/minibus class in St Moritz are: Ford Galaxy 7 seater, Mercedes Vito, Peugeot 807 7 seater, Citroen C8 Tdi, Citroen Picasso, Mercedes Viano 8 Seater and others. Standard capacity of a minivan in Switzerland is up to 9 people (8+1 formula), traditionally providing seven or eight passenger seats. The capacity of a minibus may vary from 9 to 15 people. Please note, that in order to rent in Switzerland a vehicle with capacity which exceeds 8 passengers, you would need a driving license of the corresponding category. Minivan dimensions are quite unusual for an ordinary driver, which sometimes leads to appearance of scratches and dents during unsuccessful manoeuvring or parking. Therefore, we encourage you to order full coverage of insurance franchise during your booking, or directly at the rental office in St Moritz. Before leaving the parking garage in St Moritz, inspect the minivan for exteriour defects and other signs of damage together with the office representative and mark the found defects found in your rental documents. OrangeSmile.com wishes you a great driving experience on the roads of Switzerland! The total length of roads in Switzerland is more than 71 thousand kilometers. Local roads are considered among the best roads in the world, so driving on them is always very nice and comfortable. Large number of tunnels is one of the main distinguishing features of Swiss roads. There are more than 200 of them in total, and the total length of the tunnels is approximately 200 km. Local petrol stations sell diesel fuel and unleaded petrol (95 and 98). Gas filling stations are extremely rare in Switzerland. You can find some close to national roads. Tourists, who plan to make long distance rides, should not forget that gasoline can be transported in cans (no more than 25 liters in total). According to local traffic regulations, the use of winter tires is not mandatory. However, if the vehicle equipped with summer tires becomes the cause of an accident in winter, the driver will surely get a large fine. Admirers of Friedrich Nietzsche's work should definitely visit the suburban area of Sils-Maria. Here is the summer house of the great philosopher, where the thematic museum is now open. In this house, Nietzsche wrote his legendary work Thus Spake Zarathustra. You can see his personal belongings and manuscripts. The summer house is located in a picturesque area. A wander around will give you plenty of impressions, as well. The private house of the famous artist Peter Robert Berry has also been preserved in the city. It is now converted into his museum. A collection of beautiful paintings is available to its visitors. The old house itself is of great historical value. 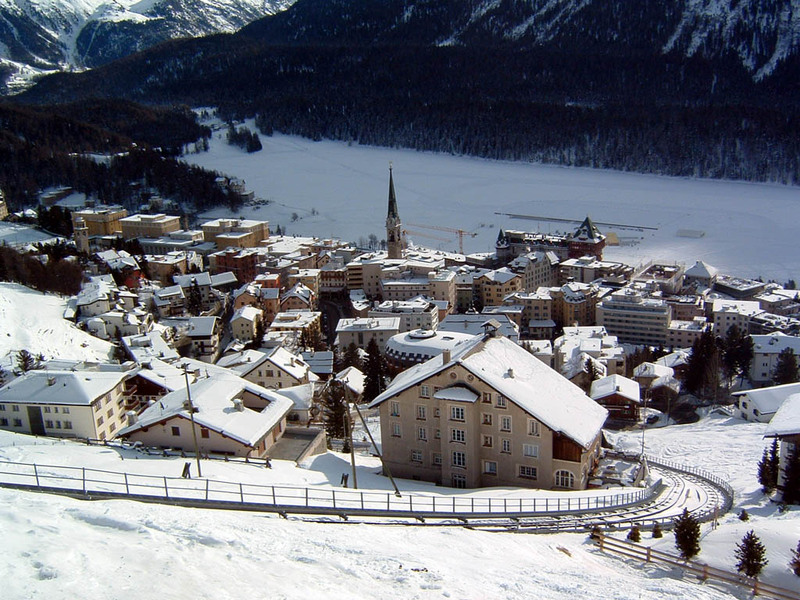 In St. Moritz there are few historical buildings, so each of them is considered an important tourist attraction. Many outstanding historical houses include prestigious hotels nowadays. An excellent example is Badrutt's Palace hotel. The former palace is believed to be the most luxurious in the resort. Its main decoration is the sculpture of the Sistine Madonna. It is incredibly beautiful and is covered with exciting legends. The author of this sculpture is unknown for certain. According to some data, it is the creation of Raphael.